Looking for some great Broome attractions? Here’s your guide to some of the best Broome attractions in the Kimberley region. Spectacular locations and unique experiences, for an awesome Broome holiday. Experience pristine white beaches, turquoise water and stunning red pindan cliffs. 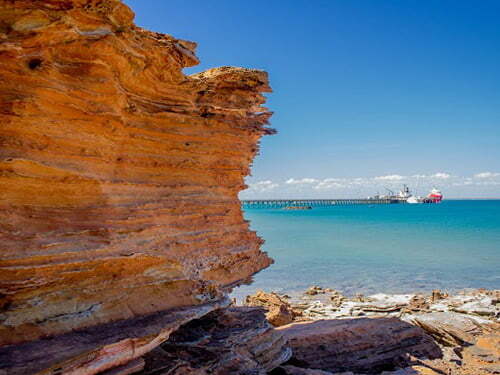 Dampier Peninsula, is approx. 200kms north of Broome. 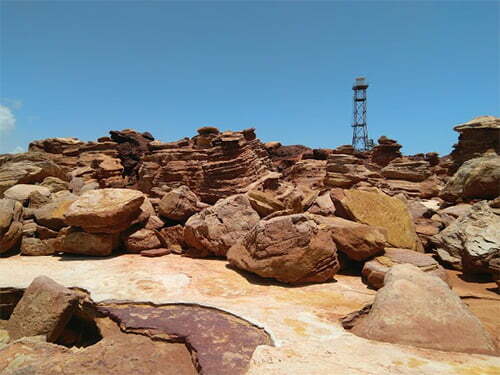 Cape Leveque is great for fishing, mud crabbing and discovering local Aboriginal traditions. Also snorkelling and touring pearl farms. It’s time you start exploring! Get on the road with Broome Hire Centre’s one-stop shop for the adventurers. 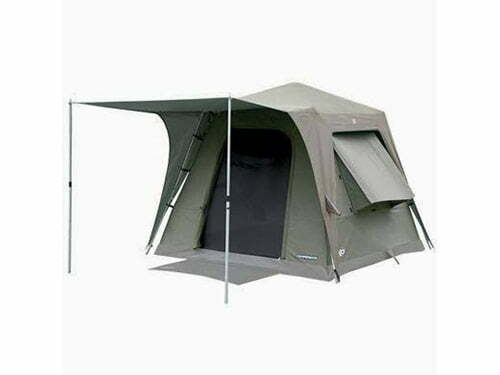 With off-road camper trailer rentals, 4×4 vehicle hire and kitted camper 4×4 vehicles. Now you’re ready for your Broome and Kimberley adventure. Discover how rare and beautiful Australian South Sea Cultured Pearl are grown at Willie Creek Pearl Farm. 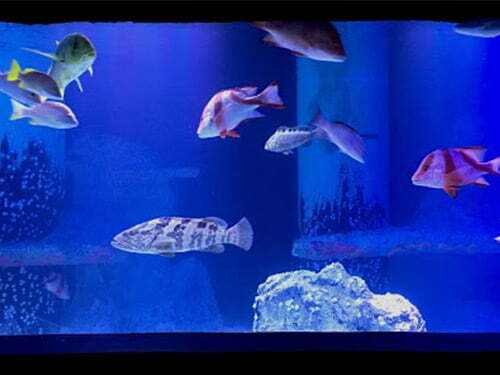 Our knowledgeable guides will reveal the processes of today’s modern cultured pearling industry. Sobrane transforms pigments of ink, pastel and charcoal into grand life-like canvases of birds and more. Find them on display in her Broome art gallery next-door to Matso’s Broome Brewery. Enjoy your movies with a difference. 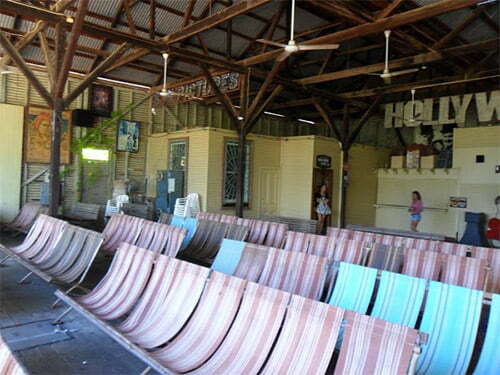 The world’s oldest picture gardens still in operation, screening many films per night. Constructed at the turn of the century in 1903, the building went through many uses before becoming the icon it is today. 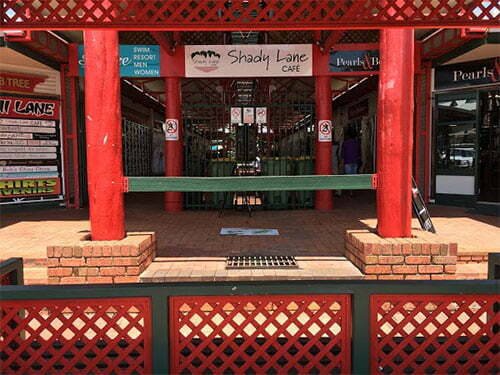 The Chinatown precinct is the heart and soul of the Broome community. Whether you’re a local, or visiting our beautiful slice of the country, there’s always something to see or do! Check out their calendar of events. Experience this very special place. A working Pearl farm where you can buy pearls direct from the waters in which they’re farmed. Dine overlooking Cygnet Bay, relax by the pool and discover the world’s largest tropical tides. Breathtaking views of contrasting colours. The turquoise Indian Ocean, red pindan cliffs and white sandy beaches. Gantheaume Point is must-see and only ten minutes from Broome. On your walk from the skeletal tower of the lighthouse down to the beach discover prehistoric dinosaur prints! Committed to preserving and protecting Broome’s heritage and history for over forty years. You’ll find a significant collection across three buildings. Learn about the pearling history, Air Raid attack in World War II. 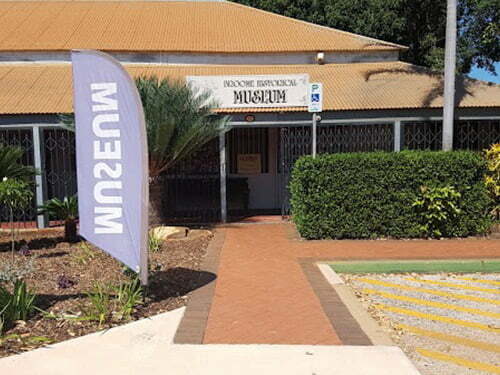 You’ll also discover Aboriginal artefacts in this volunteer run museum open 7 days. 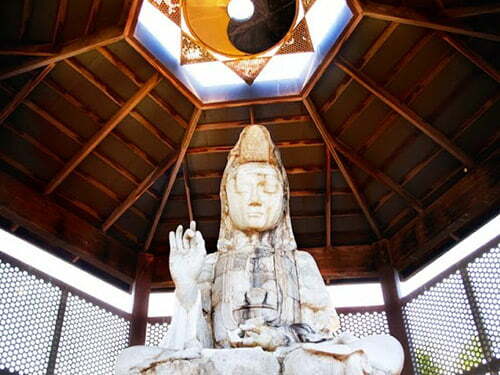 Home to a 3-metre tall crystal Buddha statue. The Buddha Sanctuary is an open community space to visit for meditation and spiritual practice. Open 7 days a week for daily yoga classes, meditation gatherings, workshops, or for those wanting space for quiet time. You enter another world through the jaws of a giant saltwater crocodile. Constructed in 2005, the giant fiberglass head is already recognised as the best of its kind in the world. 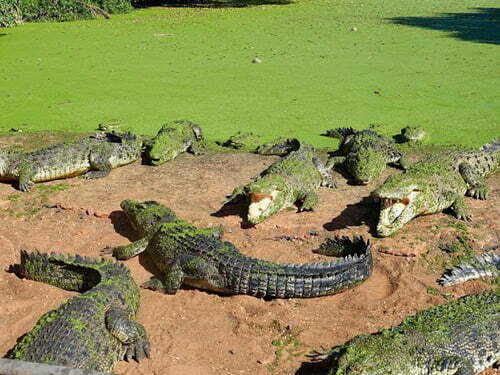 The famous daily feeding tour showcases some of the largest crocodiles on display in Australia. 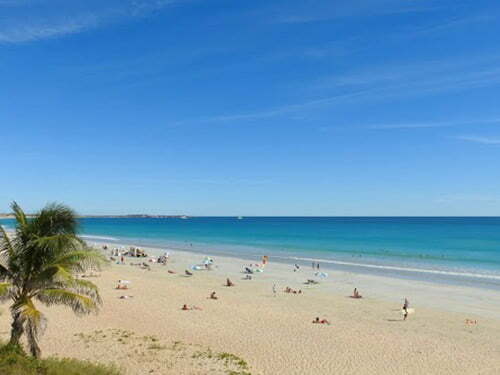 The iconic Cable Beach is an essential place to visit on your Broome trip. 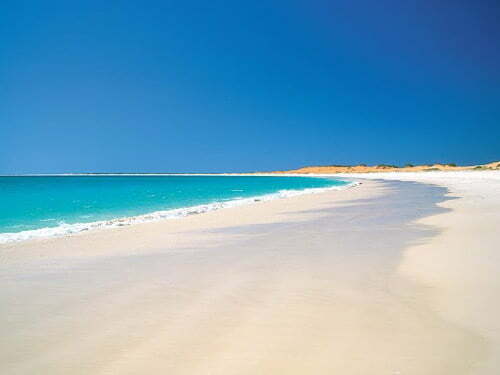 With 22 kilometres of pristine white sand, turquoise water of the Indian Ocean. You can experience incredible sunsets, camel rides, swim, snorkel, kayak and fish. Don’t forget to hire a 4-WD and drive on the beach. 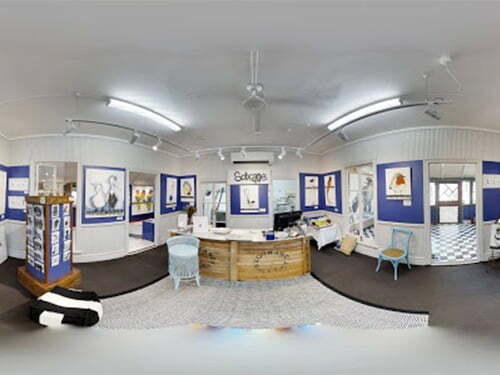 Aqua Broome – dedicated to the marine life of the Dampier peninsula and Kimberley waters. Take a self-guided or guided tour to see unique displays based on iconic marine locations. 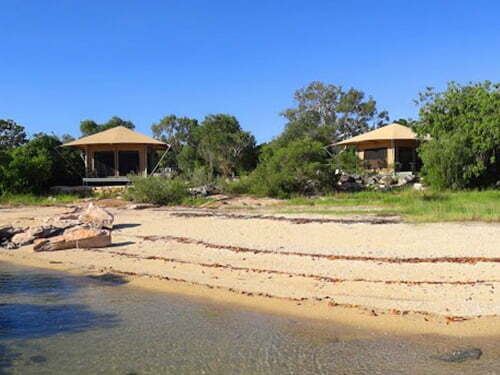 Such as Manari Reef, Gantheaume Point, and Broome deep water jetty. 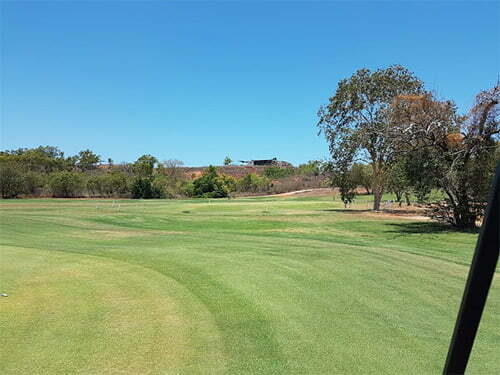 Visitors enjoy the beautiful Broome golf course with stunning views over Roebuck Bay. Play a round of 9, 12 or 18 holes, hire an electric cart, clubs or trolley at the 2018 Winner – Best Regional Gold Facility WA. The clubhouse is open 7am-5pm daily. 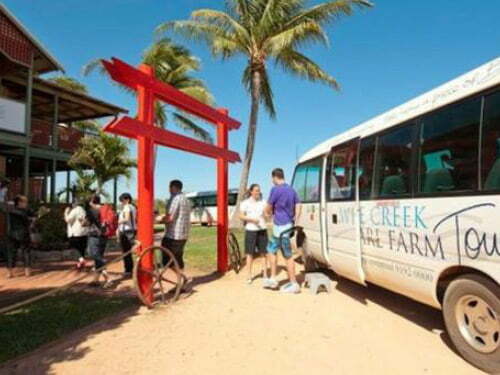 Broome Visitor Centre assists people to plan, book and make the most out of their visit to Broome. Advice on local attractions, accommodation, tours, special events, tide times and local businesses. Have your trip tailor-made and use their free booking service. Open daily. 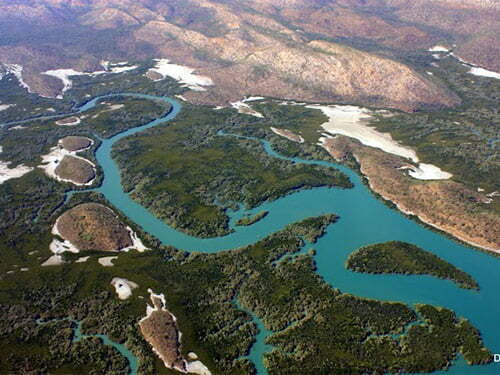 One of the Kimberley’s most beautiful natural attractions, Roebuck Bay Marine Park. Bound by Broome and Bush Point and Sandy Point. Teaming with marine life, it’s a significant wetland and feeding ground for migratory shorebirds. Fun can be had walking, boating, fishing and kayaking. 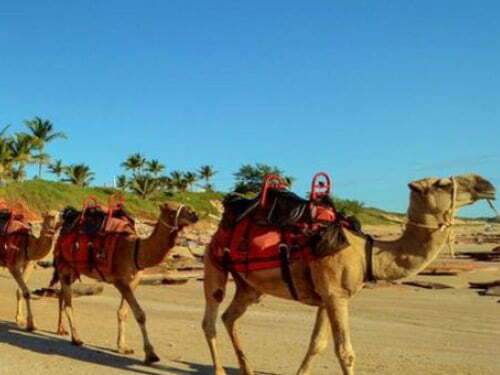 Providing camel rides along beautiful Cable Beach everyday. This iconic experience will leave you feeling relaxed and captivated. You’ll get a wealth of information about the camels and their history.